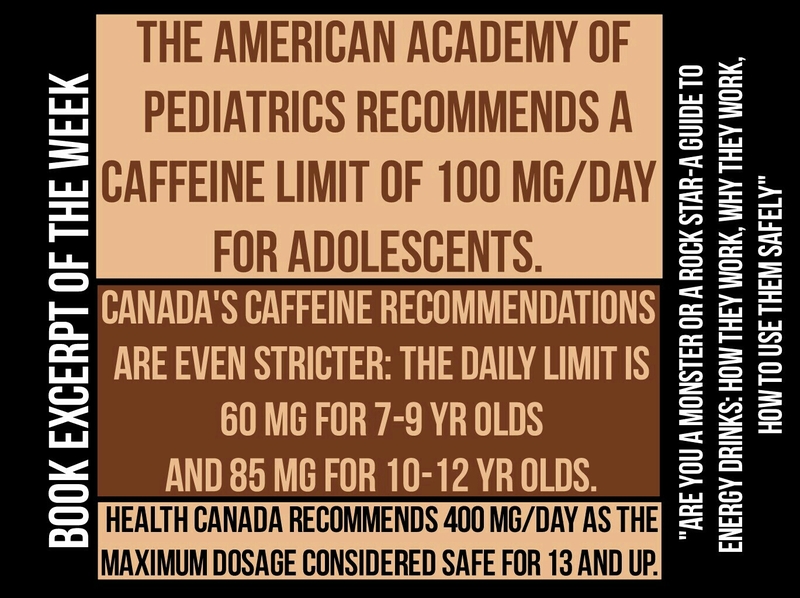 Why is it a 15 year old in the US can only have 100 milligrams of caffeine a day, while a 15 year old in Canada can have 400 milligrams? For the book excerpt of the week, we consider the difference in caffeine limit recommendations from US and Canada. You may need these guidelines if the US presidential race has prompted you to consider moving to Canada. Regardless, it’s interesting to consider Canada’s approach to caffeine safety for kids. For more on caffeine regulations and the rest of the conversation on the ABCs of Caffeine Safety, get your copy of “Are You a Monster or a Rock Star-A Guide to Energy Drinks, How They Work, Why They Work, How to Use Them Safely”, available wherever books are sold. Stay tuned for more book excerpts!